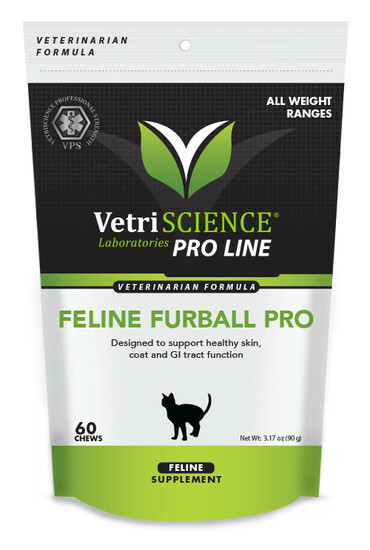 An advanced formula designed to support optimal skin and coat health in cats, from the inside out. 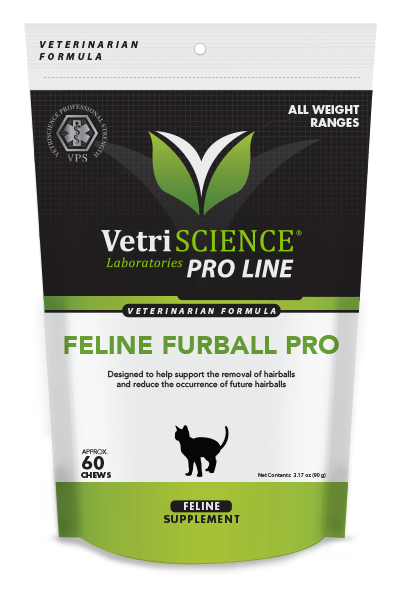 Feline Furball Plus supports skin and coat hydration and digestion in cats. Fatty acids, antioxidants, and psyllium fiber support GI tract health. Papain (an enzyme) supports breakdown of mucous material that holds hairballs together. Feline Furball Plus does not include mineral oils or diuretic herbals, and it is available in a natural chicken liver flavored chew.